A successful ozone water treatment installation depends on its ability to secure the required level of dissolved ozone in the water at all times. How this is done can be more or less energy-consuming, safe and costly. And that’s where Primozone can change the way you look at and design an ozone solution. 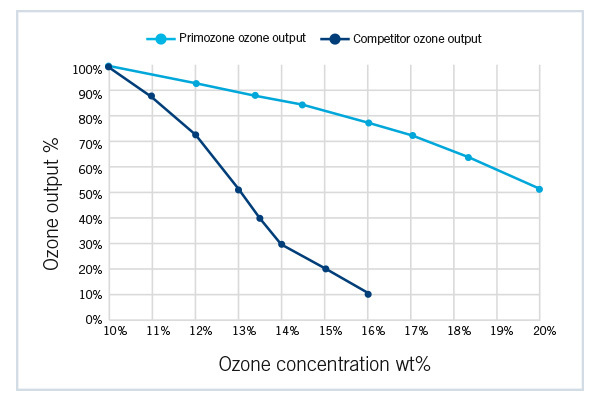 Primozone technology has more than 7 times the production capacity at higher ozone concentrations than competitive technology. 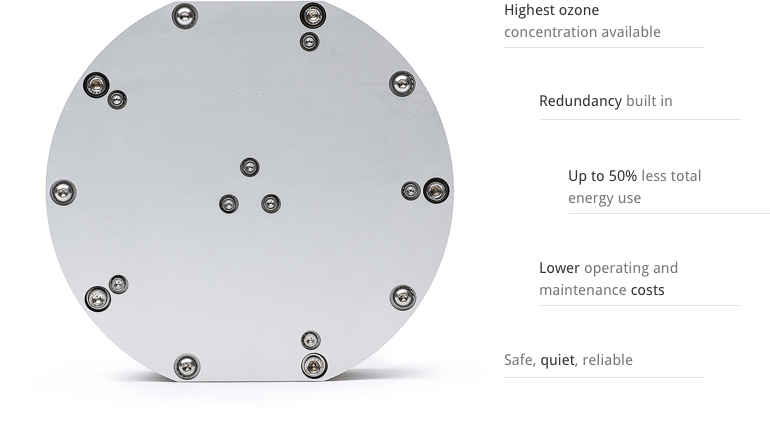 We provide both high ozone concentration and high ozone capacity/output. The high ozone concentration is guaranteed independently of ozone output. 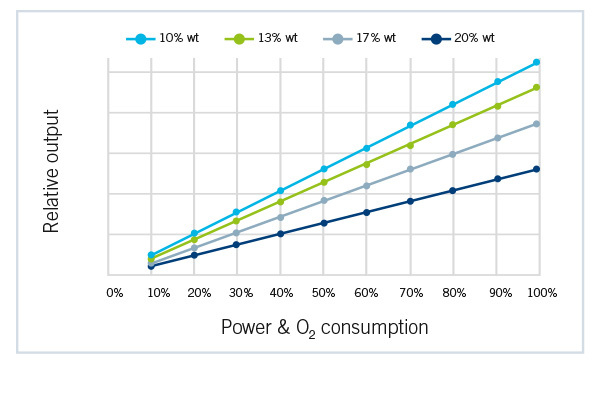 Going from peak demand at 100% output to minimum demand at 10% the energy and oxygen consumption will correspondingly go down to 10%. In other words the ozone concentration is constant. Does Primozone facilitate the distribution of ozone to more than one injection point? A: Absolutely. From the Primozone ODM (ozone distribution module), operators can adjust the ow of each injection point, and even the corresponding ozone production changes – turning what used to be a day’s work into an instant automated adjustment.